Not content with their usual practice of announcing an announcement, Square Enix decided to get a little creative by hiding their tease in a word puzzle. Last Friday, Square Enix posted this message on their official North American site for Final Fantasy XIII: “A puzzle for FINAL FANTASY XIII fans! Solve this anagram to find out what lies ahead: A Henchmen Inventor Tent Unto. Check back Monday for the answer!” Well, turns out we didn’t have to check at all. 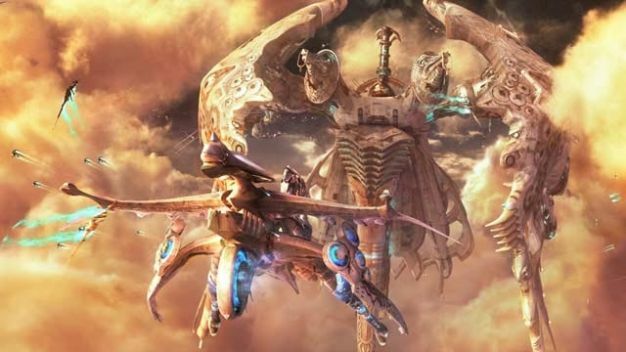 The glorious internets in the form of two FinalFantasy-XIII.net forum users had already solved it within an hour of the post, and the answer turned out to be “Announcement Nov Thirteenth”. The real puzzle now is figuring out just what exactly is going to be announced for FFXIII this Friday but whatever it is, it’s big enough to have the company buying adverts on some sites with a “Special Announcement Nov 13th – 3:30PM” message. The consensus is that Square Enix will finally give us the game’s long awaited North American release date. We’ll be keeping our fingers crossed, so forgive us if subsequent posts come littered with typos.